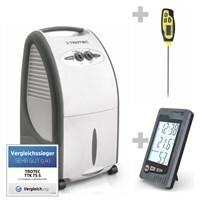 Package deal consiting of dehumidifier TTK 75 S and BT40 barbeque thermometer. Although their design is quite discreet but very elegant their price is amazingly conspicuous. Both low in noise but high in performance. 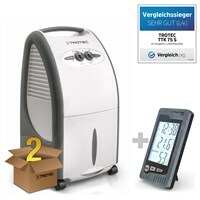 Offers the TTK 75 S dehumidifier, a climate data logger and a great saving! Buy the TTK 75 S and save more than 50 % on a BM22 Moisture Meter. Get your TTK 75 S with an additional BY10 tyre pressure gauge! 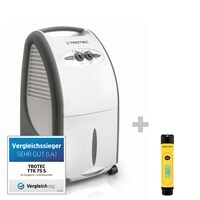 Package deal comprises the TTK 75 S dehumdifier (max. 24l/24h) with the BI15 wallscanner. 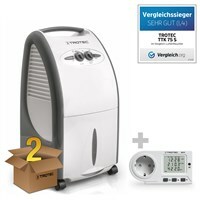 Package deal comprises the TTK 75 S dehumidifier (max. 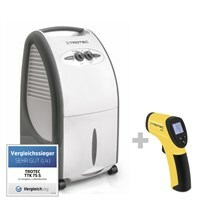 24l/24h) and the RP05 infrared thermometer. 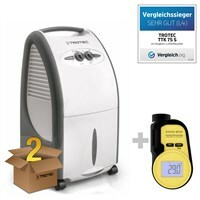 Package deal comprises the TTK 75 S dehumidifier (max 24l/24h) and the RP15 infrared thermometer. 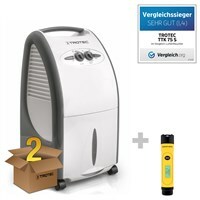 Package deal offers the TTK 75 S dehumidifer (max. 24l/24h) and the BP25 dew point scanner.